If you are experiencing an unwanted pregnancy, you’re likely feeling scared and even confused about what to do. While there are many options available to you in this situation, many women choose to have an abortion. There are a few different types of abortions, but they are all medical procedures that can safely end a pregnancy. Although they can be a trying experience, many women find that they are the best option for them physically, emotionally, and financially. If you are considering having an abortion, visiting a reputable and safe abortion clinic should be your first step. There are many public and private abortion clinics available throughout the country. There are also some doctors that offer this procedure in their offices. Once you find out you are pregnant, your first step should always be to contact your general practitioner or your OB/GYN if you have one. They can check to make sure you are healthy, and then if you decide you want an abortion, they can refer you to a clinic near you that is a good fit for you based on your financial status. Planned Parenthood has many clinics in the United States that offer safe and confidential abortion services, and there are many women’s health centers that provide these services as well. It is very important to make sure the clinic you go to is a safe and reputable one. Before you go, be sure to read as much as you can online about the procedures and services they offer to ensure you are comfortable with them. 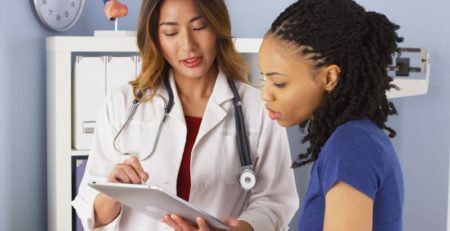 If your doctor did not provide you with a referral, there are many women’s health and advocacy organizations that may be able to help you find a clinic. You’ll need to have a consultation with your abortion provider before you can have the procedure. During this consultation, a caring and trained doctor will assess your own personal situation and present you with options that they think would be the best fit for you based on your health and your personal circumstances. There are a few different types of abortions that are available in a clinic, depending on how far along you are in your pregnancy, and there’s also the option to receive an abortion pill, which you can take in the privacy of your home. Many people choose to have the abortion in a clinic, because it generally takes less than 15 minutes, and you will have the help of highly trained support staff who are very familiar with the procedure. Although an abortion can be a very difficult and challenging situation, going to a trusted abortion clinic can make it a bit easier.